Good day, CIOS. A side benefit of today's move toward software robots to automate repetitive tasks is a renewed cross-team focus on business processes. What process deserves to be automated? What doesn't? Intuit Inc. Chief Information Officer Atticus Tysen has helped lead a number of employee-facing automation efforts at the company. He talked with CIO Journal's Sara Castellanos recently about his robotic process automation efforts. Consider carefully which processes need to be automated. “You don’t want to deploy tons of bots, because you’re going to automate bad processes. It’s important to be strategic about which bots you build,” he said. Rethink how a process works. The biggest challenge is getting employees from various business divisions to step back and rethink how a specific process works and which parts of it should be automated, Mr. Tysen said. “You don’t want to re-engineer the whole process,” he said. Google sued over abuse of search power. A German price-comparison portal has become the first major company to sue Alphabet Inc.’s Google while invoking a 2017 European antitrust decision to fine the U.S. technology giant for abusing its dominant position in the search-engine market. WSJ reports that if the legal action by Idealo Internet GmbH succeeds, the litigation could spark similar actions in Europe by other tech firms that have so far hesitated to take on the Silicon Valley company. Small banks rebel against the most important tech firms you have never heard of. Frustrated with fees and what they see as a bias among core banking technology providers FIS and Fiserv for larger institutions, some smaller banks are seeking tech solutions through in-house development and partnerships with startups, the WSJ reports. Build your own. Virginia-based Union Bank and Trust recently built its own data warehouse that keeps a copy of all the information stored by its core processor FIS, the bank Chief Information Officer Dean Brown said. How humans help train Alexa. Behind Alexa's machine-learning prowess is an international team of humans who listen to a sampling of conversations captured by Echo speakers, Bloomberg reports. The recordings are annotated and findings are fed back into the software. The goal, says Bloomberg, is to "eliminate gaps in Alexa’s understanding of human speech and help it better respond to commands." Quote. "I think we’ve been conditioned to the [assumption] that these machines are just doing magic machine learning. But the fact is there is still manual processing involved,” Florian Schaub, an expert on privacy issues and smart speakers, tells Bloomberg. Justice system tech glitches raise questions. A yearslong computer glitch in a Baton Rouge, La., parish jury database may have prevented more than 150,000 people, many of them born after 1993--from serving. Legal experts tell the New York Times that this case and similar stories of error-prone jury databases nationwide are raising constitutional concerns. When hackers hit California's DMV system roll out. The Los Angeles Times takes a deep dive into California's $15 million effort in 2018 to build a Department of Motor Vehicles system to register new voters. Hackers. Less than a week before the system's launch last April, officials noticed that servers were trying to connect to machines in Croatia. Bad hardware. "Touchscreen devices at DMV offices seemingly changed customer selections from registering to vote to 'I do not want to register to vote or update my information." Old tech. "Programmers had to create a workaround for the DMV’s outdated computer system that could transmit thousands of daily registrations to state elections officials." Data discrepancies. "Some non-citizens were mistakenly added to the voter rolls. Other DMV customers didn’t know they’d been registered. Robot, human love is real. Food-delivery robots are everywhere, but they often need some help from humans when their navigation goes awry. The WSJ reports on heart-warming displays of affection by carbon-based lifeforms for their silicon-based brethren. Elegy for a departed bot. At UC Berkeley, senior Alex Chen hosed down a Kiwi robot that had spontaneously combusted. (The culprit was a defective lithium ion battery, the company said.) That night, students held a candlelight vigil for the charred robot. Secret to success: Less food, tub-loads of water. Jack Dorsey, CEO of Twitter Inc. and Square Inc., recently shared some of his healthy routines, a list that includes eating less (one meal a weekday), walking to work and using enough water for a family of dolphins. There are morning ice baths ("it just unlocks this thing in my mind") and there are evening bathing sessions where he moves back and forth, back and forth from his barrel sauna to his ice bath. Fail big. Amazon.com Inc. CEO Jeff Bezos, in his annual shareholder letter, says failure needs to scale too. "If the size of your failures isn’t growing, you’re not going to be inventing at a size that can actually move the needle," he writes. Consider the Fire phone, Amazon.com's ambitious, yet doomed move into mobile phones. Upon the ashes of Fire, the AI-enabled Alexa was built. Concludes Mr. Bezos: "A single big winning bet can more than cover the cost of many losers." T-Mobile CEO says let the music play. A Metro PCS store in Washington, D.C.'s Shaw neighborhood had been playing go-go music from sidewalk speakers for the past quarter century. Those speakers recently went indoors after a neighbor in a nearby luxury apartment threatened to sue. To the rescue, John Legere, CEO of T-Mobile Inc., which acquired Metro PCS in 2012. “The music will go on and our dealer will work with the neighbors to compromise volume,” Mr. Legere said in a tweet Wednesday. The linchpin of Walt Disney’s streaming strategy, Disney+, will be an ad-free subscription service anchored by programming based on the company’s biggest franchises. Write to Steve Rosenbush at steven.rosenbush@wsj.com. Follow the WSJ CIO Journal Team on Twitter: @steve_rosenbush, @scastellWSJ, @angusloten, @knash99, @tomloftus. 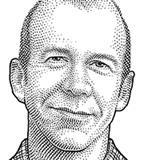 The editor, Tom Loftus, can be reached at thomas.loftus@wsj.com.